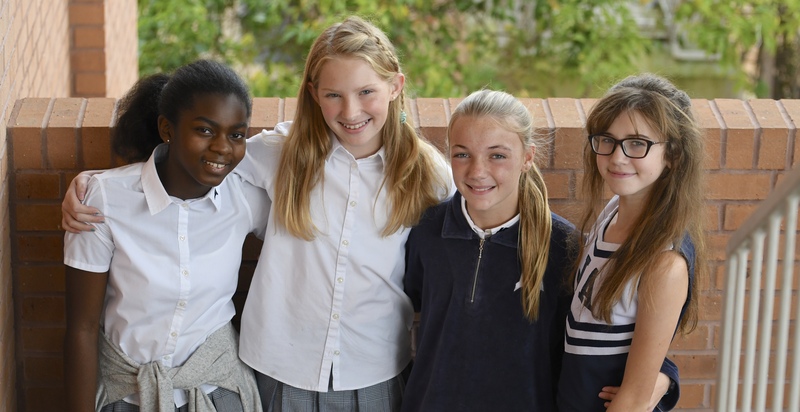 Mya Coins, Alex Guild, Abby Fielder, and Lucy Allen have been recognized in the Mississippi Children’s Museum’s ‘Celebrate Mississippi’ art competition. Drawings of futuristic architecture depicted in pencil and ink by Mya Coins received honorable mention in the grades 6-8 division of the visual arts competition. In the statewide K-6 poetry competition, Alex Guild won second place for her poem “Mississippi, Land of the Free,” which celebrates the past, present, and future of our state. Abby Fielder used oil pastels and crayons to portray sunset over a city in the delta, pointing to a peaceful future for Mississippi. Her piece will be displayed with 33 other artists’ work at the Mississippi Children’s museum. Celebrating Mississippi’s history of visually artistic expression, Lucy Allen earned first place in the 6-8 division with a mixed-media piece featuring roller coasters. Abby, Mya, and Lucy’s work will be on display this week at the Mississippi Children’s Museum. The four artists have been invited to attend a luncheon award ceremony Saturday, November 11, where Alex will recite her poem. Congratulations to these talented students!